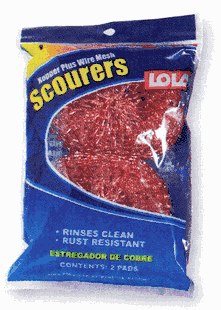 Set of 2 copper scourers. Great for pot scouring, oven cleaning, stove cleaning, floors, whitewall tires, and more! Rinses clean. Rust resistant.